Seven has started the new week with a win with the smallest possible primary channel margin ahead of Nine. A big House Rules audience was key to Seven’s performance. Seven was also the winner in combined channel share. Nine was breathing down Seven’s neck in both measures and the broadcaster has claimed top spot 18-49 and 25-54 for its primary channel. Two repeat episodes of Modern Family weren’t good news for TEN’s MasterChef, which saw the numbers down significantly week-on-week. House Rules posted a big Sunday audience of 1.18m after 1.04m a week ago. 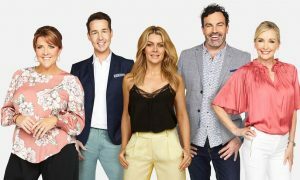 The show revealed the makeover of the home belonging to Sean and Ella and it was a tight leader board with the judges marking the teams more evenly than usual. Sunday Night was down over 200,000 week-on-week to 645,000 for a special investigation of the McCulkin triple murder. Later in the night The Suspects: True Australian Thrillers did 416,000 after 404,000 a week ago. The Voice had to settle for second place behind Seven’s renovators. The Sunday episode and the first of the battles was up from 1.06m to 1.07m week-on-week. Singers facing off for a spot in the live finals included Sally v Bojesse and Spencer v Russ. 60 Minutes was a clear winner later in the evening on 841,000 even if it couldn’t get close to last week’s 928,000. 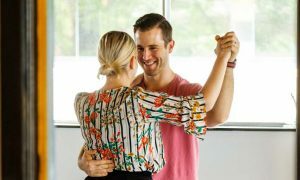 Liz Hayes reported on Nine’s Hamish and Andy ahead of the launch of their new series True Stories. The channel started primetime with 287,000 watching Family Feud Sunday after 298,000 a week ago. Two repeat episodes of Modern Family did 320,000 and then 395,000. A new episode last week pushed above 530,000. The repeats weren’t good news for MasterChef and, despite the presence of Thai cooking master David Thompson, the episode was down from 839,000 to 737,000 week-on-week. The show remains competitive in the demos though. Home cooks performing well at different parts of the episode included Karlie and then Callan. US drama Bull was steady just under 450,000 again this week. Coverage of the Monaco Grand Prix followed with a five city audience of 280,000 with 199,000 of them along the east coast on TEN and the remainder watching on ONE. Doctor Who managed to keep 420,000 of the news audience. Grantchester pushed back above 600,000 after 596,000 last week. DCI Banks was on 388,000 after 362,000 a week ago. Italy’s Invisible Cities grew week-on-week with 334,000 after 325,000 a week ago. Two episodes of The Story Of God followed with an improved average of 192,000 after launching with 180,000 last week.